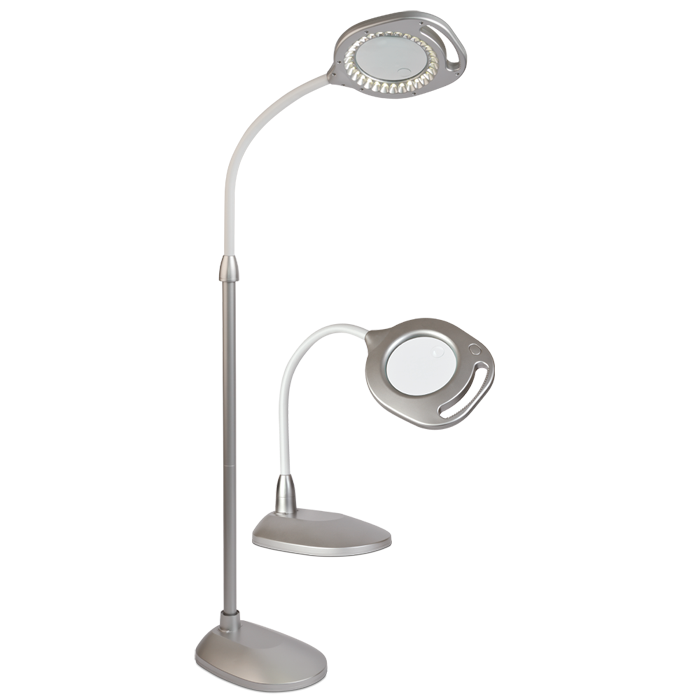 Easily converts from a floor to a table lamp! 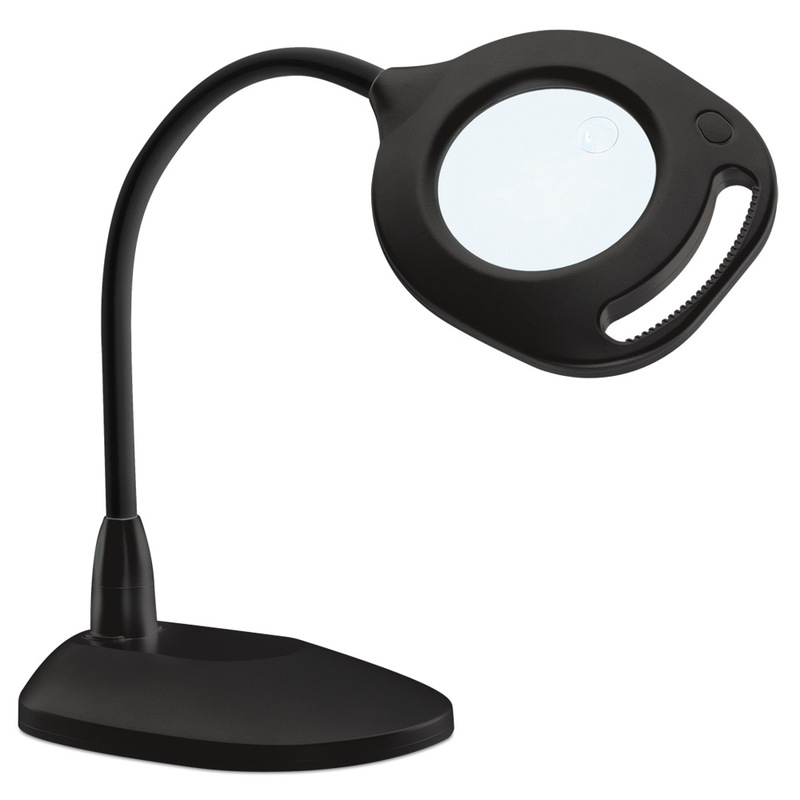 The best in LED illumination combined with two optical grade magnifiers. 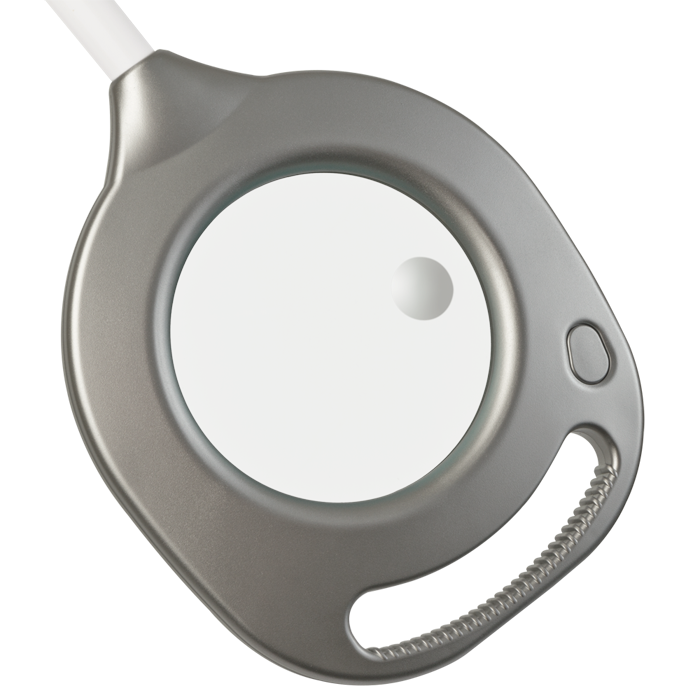 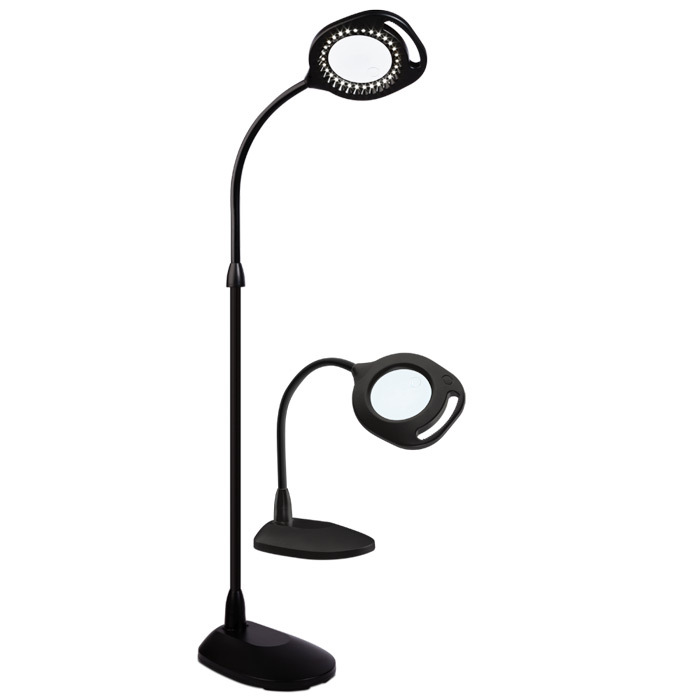 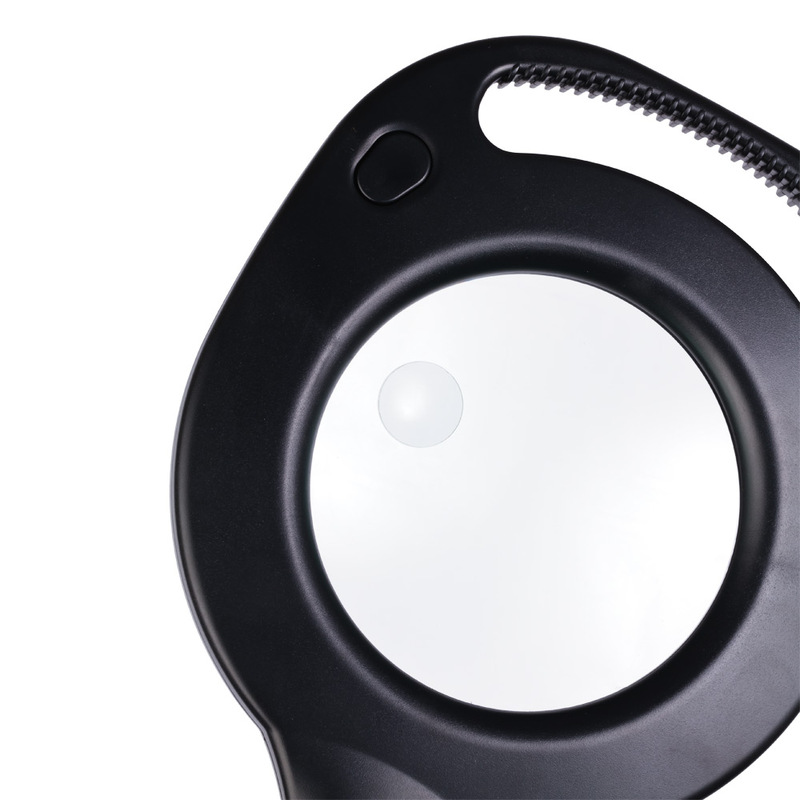 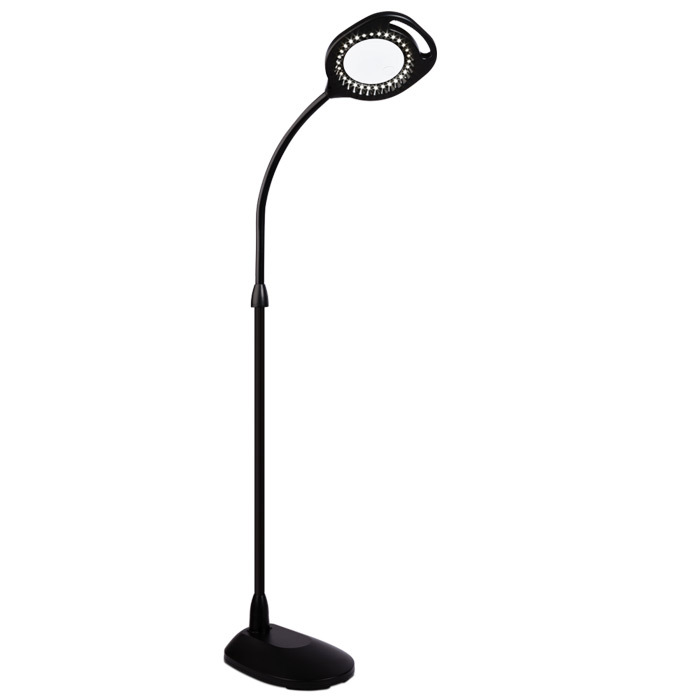 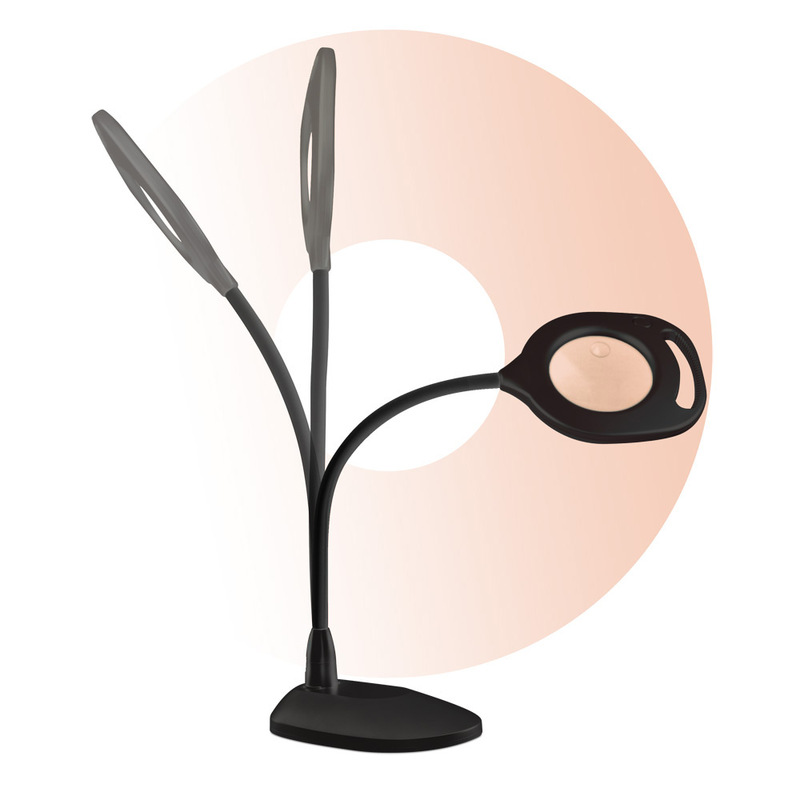 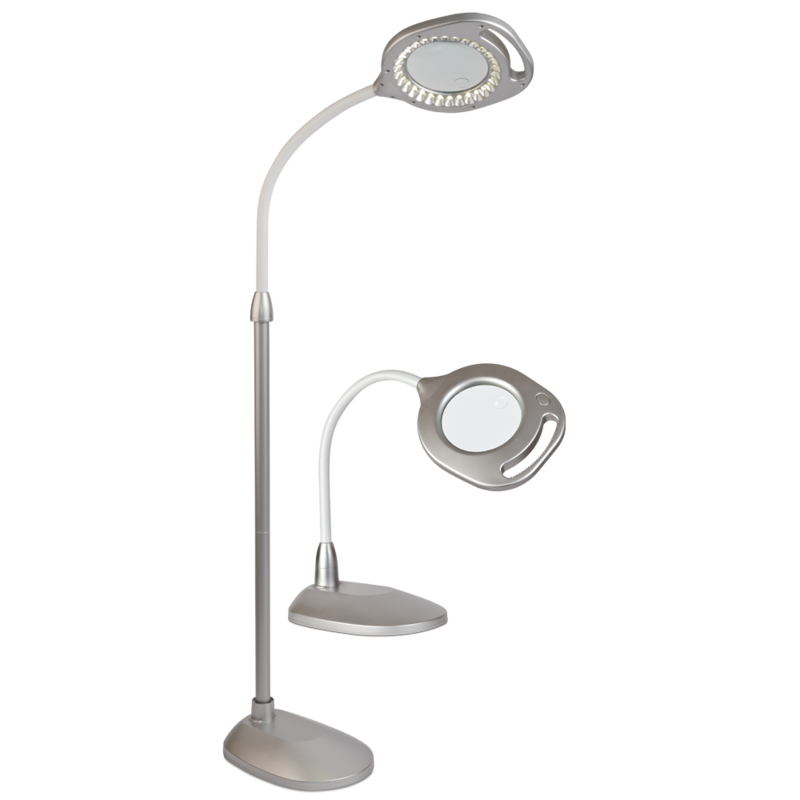 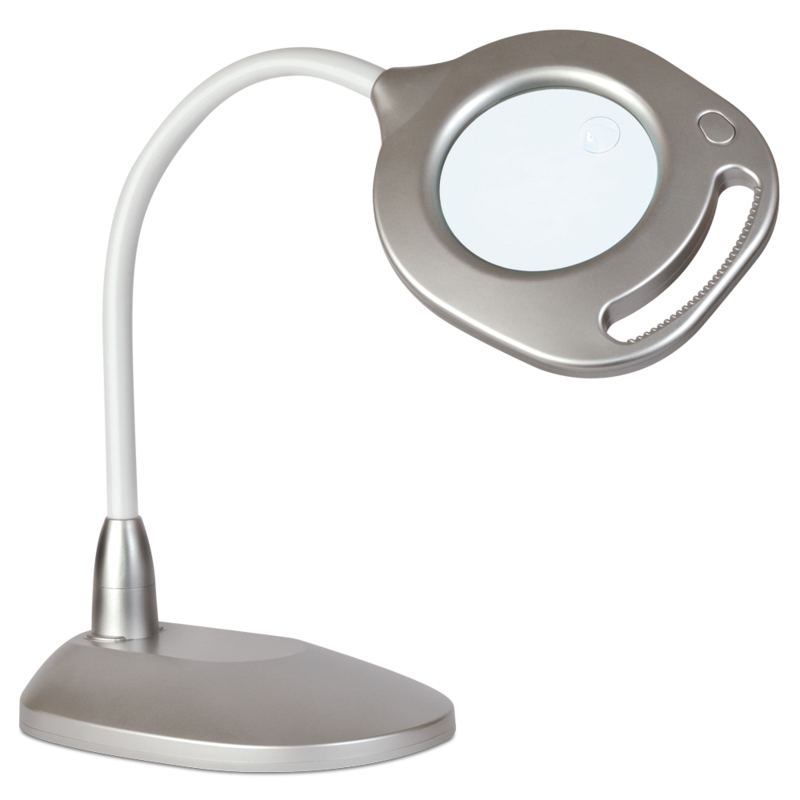 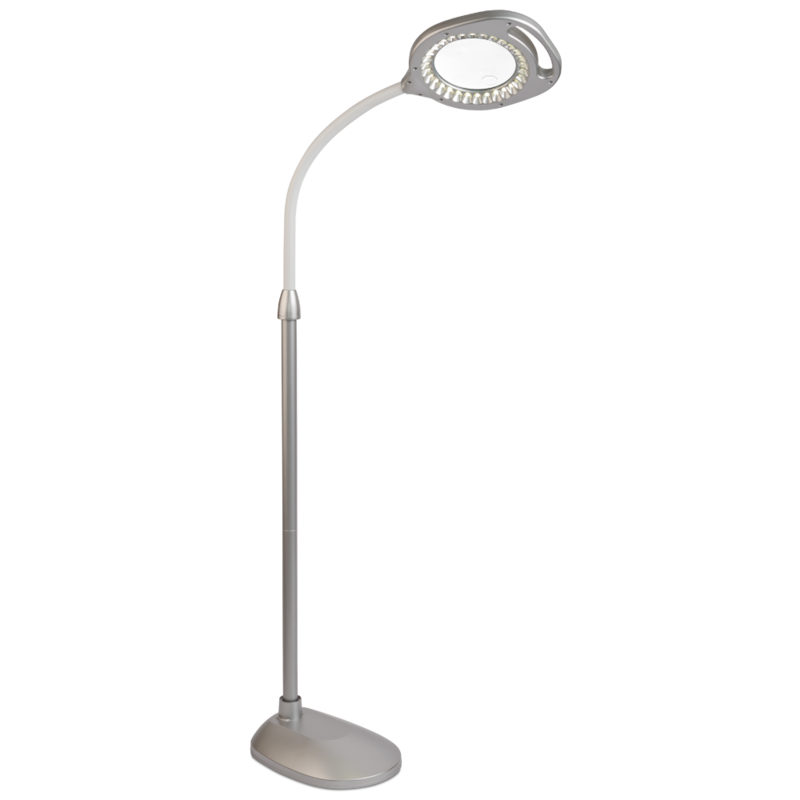 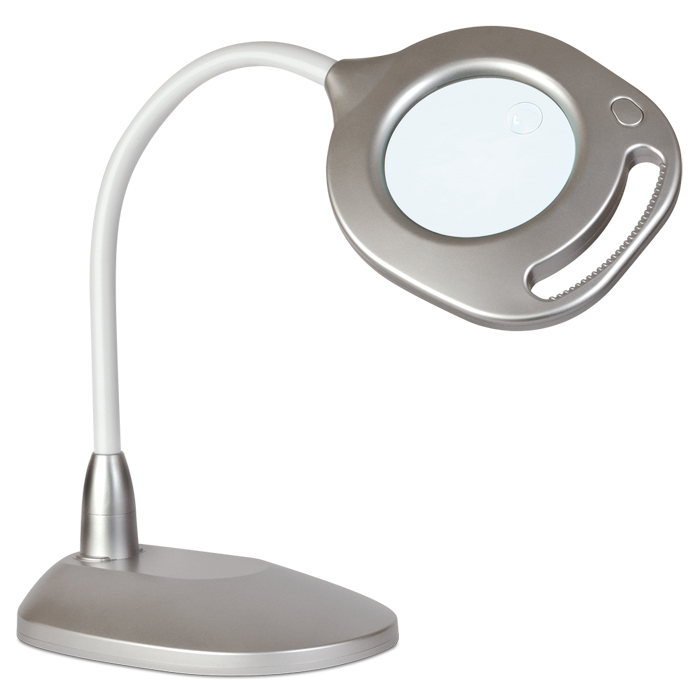 The 2-in-1 LED Magnifier Floor and Table Light combines 30 Super Bright Natural Daylight LEDs with optical grade magnifiers and a rugged built-in handle so you have hands-free magnifying light exactly where you need it. 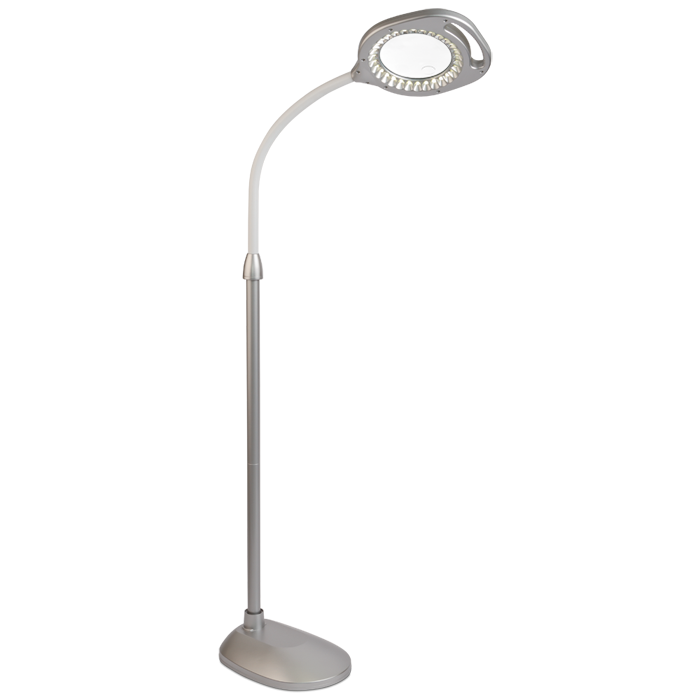 Plus, it includes a conversion kit allowing for easy conversion from a floor lamp to a table-top model. It’s like having two lamps in one! 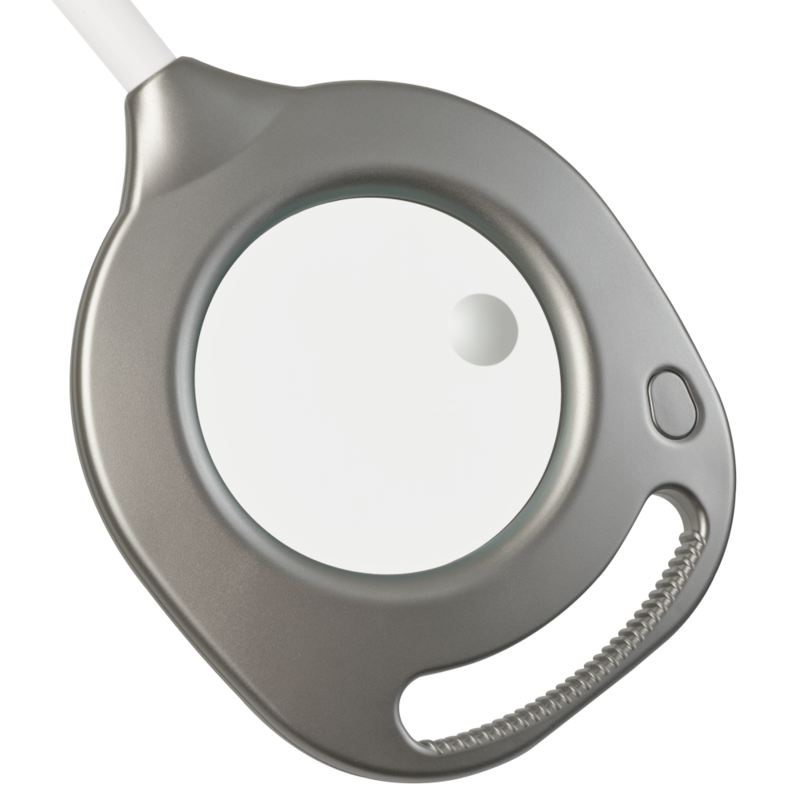 Love Pasta Toolbelt - "I loved using my Ottlite for this project because it provides the power of natural daylight indoors while I’m working and that was vital because of course I was finishing these up at 9 pm the night before the shower." 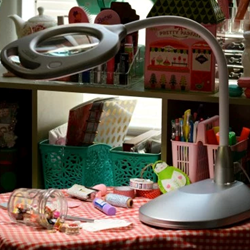 Homemaking Heather - "Words cannot express how much easier this one lamp has made my entire creating/crafting process. 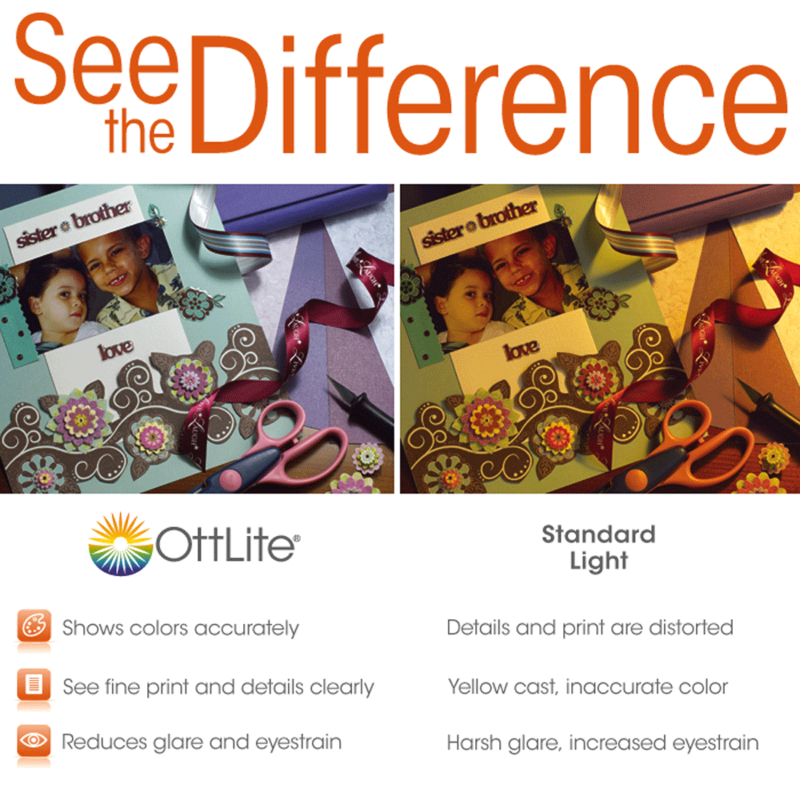 The light that it gives off is not only bright ( but not so much that it hurts my eyes/head ), but it is quite natural."